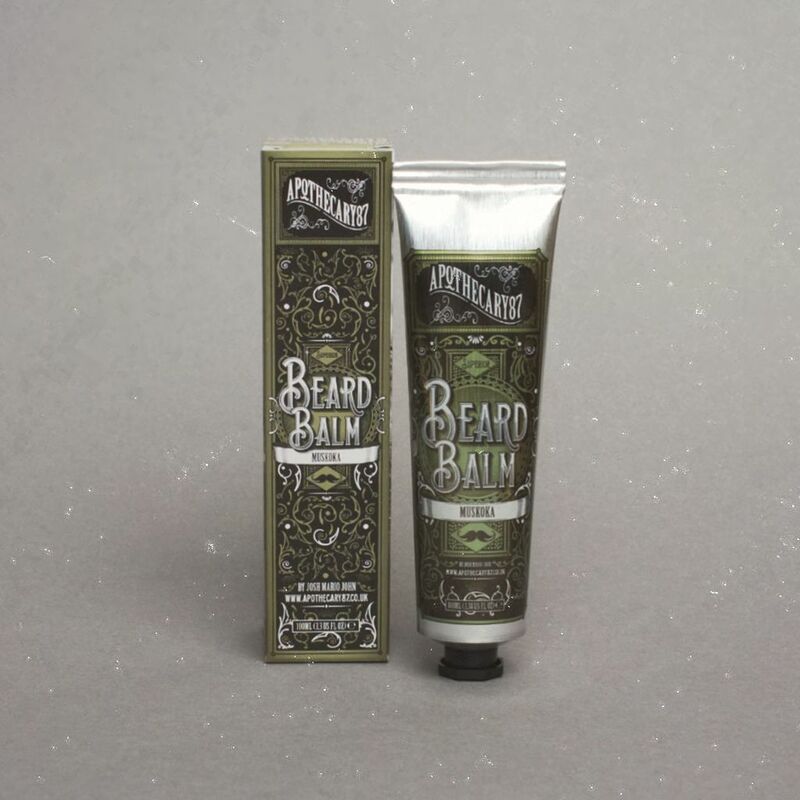 Apothecary 87 is one of the big players in the beard care market with instantly recognisable branding and has a big following and so when I was sent a tube of the Muskoka beard balm by befaf for review, I was very happy. It is packaged in a card box and the balm is in a metal (old style toothpaste like) 100ml tube. It is very unlike the usual balms and is actually more creamy/gel like and is more akin to a hair product than a beard care product. The balm is named Muskoka as it was produced in conjunction with canadian bearded model Josh Mario John and is named after the Canadian district of Muskoka that is well known for its production of Maple Syrup and the balm has a Maple syrup scent. This could have gone wrong, it could have been very sweet and sickly but Apothecary 87 have got the scent perfectly. It smells just like a high quality pure maple syrup and isn’t overly sweet or sickly and I love the scent. The balm as I said is gel like and Apothecary 87 say that it can actually be used on your hair as well and it feels like a hair care product. It initially leaves your beard hair feeling damp and then sets to give a nice hold and yet leaves your beard hair feeling soft. All in all the Apothecary 87 Muskoka did not disappoint at all, however I do still prefer to use a product that is made from natural ingredients. befaf is a 3rd party reseller that sells a wide range of beard care products as well as products for hair care, shaving and lifestyle from many well known brands such as American Crew – Apothecary 87 – Barber Mind – Bear – The Bluebeards Revenge – Captain Fawcett – Clubman– Kent Brushes – Dear Barber – Fudge – Hairbond – Jack Dean – Morgans Pomade – Oil Can Grooming – Osmo– Red One – Suavecito – Uppercut Deluxe – Vines Vintage.